Discover the Casa Roja Museum in Mazo, La Palma. The Casa Roja Museum is located on the Maximiliano Pérez díaz street, on the centre of Mazo on the island of La Palma. 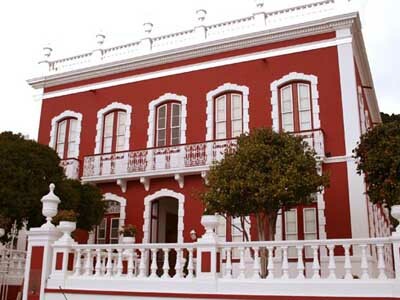 The Casa Roja Museum is the only museum is Spain dedicated to the El Corpus festivity. It also holds an interesting collection of embroidery. Calle Maximiliano Pérez Díaz, Mazo - La Palma. Monday to Friday from 10am to 2pm, and from 3pm to 6 pm. Saturdays from 11am to 6pm. Sundays from 10am to 2pm.